Chocolate, chocolate, chocolate . . . is this the Chocolate revolution? Chocolate - fools gold or the real thing? There is a chocolate gold rush underway fuelled by increased awareness of a public hungry for good quality, traceable foods, and retailers are at the front line as small independent manufacturers and established confectioners vie for the luxury pound. There are few people who dont like chocolate, and everyone has their favourite, be it a Kit Kat or an exclusive high cocoa dark bar. Many retailers will need to appeal to both ends of that spectrum, but when faced with the daunting array of high end products with price tags to match, how do you distinguish between fools gold and the real thing? The ancient Aztec civilisation revered a magic bean . . . it was the food of the Gods, cured all ills and was more valuable than gold. Chocolate has come a long way, and whilst we no longer feed it to the would-be human sacrifice to sweeten his demise, it is nonetheless still adored and accredited all manner of qualities from aphrodisiac to cholesterol reduction! There is much kudos associated with organic and fair-trade products, and although they undoubtedly add shelf appeal, they are by no means a guarantee of a really good flavour and texture. Employ all five senses when tasting a chocolate bar . . . be it dark, milk or white. Sound - the bar should make a clean, crisp snap when broken, rather than a dull thud. Aroma - there should be a good chocolaty aroma, together with more subtle fruity or woody notes. You may also get a hit of vanilla, caramel or nuts, but these shouldnt dominate the cocoa. Reject chocolate with any hint of rubber, burning, mouldiness or rancidity. Feel - the bar should feel smooth to the touch, and melt evenly in the mouth, without any graininess, cloying or greasy residue. Taste - of course, this is the most important part, and there is a bewildering spectrum of flavour experiences to be had from different chocolates, and not all of them will necessarily be to your taste. Try employing the same terminology that you might use when tasting wine . . . anything from flowers, fruits and spices, to leather, beeswax, toast and old socks . . . just kidding on the socks!. Not everyone will have the same flavour experience, but some good bars (Valrhona, Domori, Amedei) now have a few tasting notes on the wrapper. 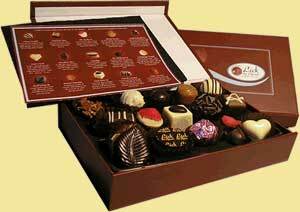 When it comes to choosing filled chocolates, or Pralines, it is really best to find a good chocolatier. Many, if not all high street luxury chocolates have elevated sugar content, stabilisers and added vegetable fats to prolong shelf life. It stands to reason then, that the shorter the shelf life from fresh, the most likely it is that the chocolates have been made using fresh cream and butter and minimal sugar or alcohol. Good filled chocolates generally have a ganache based centre (a mixture of chocolate and cream) as opposed to predominantly fondant or toffee centres found in cheaper versions. Thats not to say that a good violet or rose fondant cream isnt to die for (and an absolute favourite of every Great Aunt that ever there was) but if youre paying top dollar, you dont want a selection full of sugar-based centres. Any chocolatier worth their salt will be happy to provide a few samples and talk at eye-glazing length about the development and fabrication of their creations! These may be hand rolled and uneven in shape, and are traditionally made only with chocolate and cream or butter, plus the flavouring element, be it alcohol or fruit. These have a chocolate shell and can house softer or more liquid fillings of any kind. These always contain a nut paste, usually made from hazelnuts or almonds, and can vary from semi-liquid to firm. 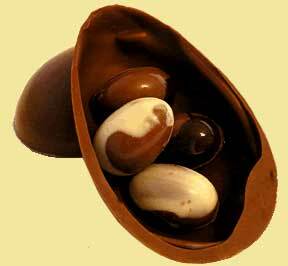 These may be in a moulded shell, or cut and dipped in chocolate. They have a chocolate and cream base, and can be flavoured with anything from honey to chilli, or unflavoured, especially if they are made with a high quality single origin chocolate. Firm, soft or liquid, salted, with nuts, without . . . these are always a favourite. Dipped whole nuts, rochers and clusters, stem or crystallised ginger, candied orange peel, marzipan, etc. If you are selling pre-packed boxes from the chocolatier, ask what is in them, and if the contents cant be seen in the closed box, ask for a display box. Buy your fresh chocolates little and often unless you can be sure to sell them before their best before dates, and keep them out of direct sunlight and away from strong odours. From a couple of bars to a whole array of origin chocolates and pralines, everyone can join the good chocolate revolution . . . theres gold in them there hills! A professional chef for 18 years, Chef and Chocolatier Diana Short learnt her skills in France where she lived and worked for 6 years before returning to England. Priding herself on the quality and freshness of her creations, Diana has worked in Michelin star restaurants and catered for a number of high profile events.